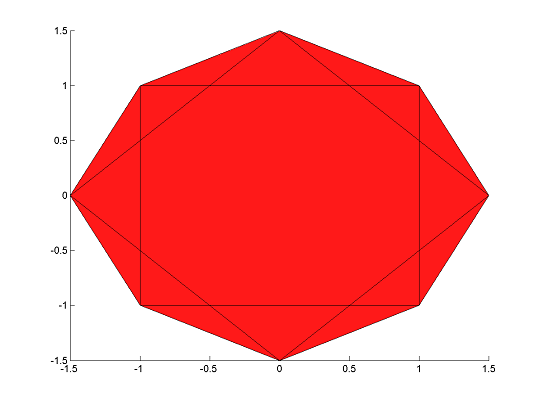 hull is used to create the convex hull of a set of constraints. Important to realize is that the representation will introduce new variables due to a lifting procedure. 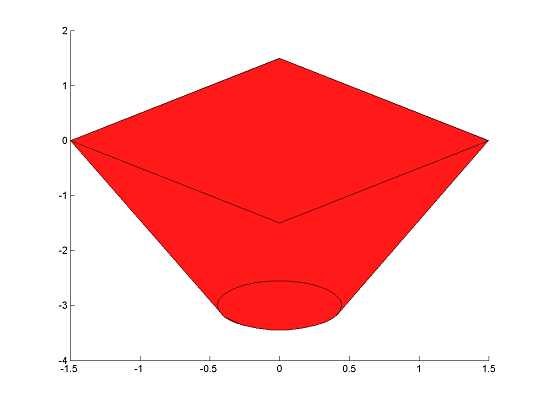 Nevertheless, YALMIP will realize that these are auxiliary variables defined internally, so when you plot the hull, the projection to the original user-defined variables will be plotted. 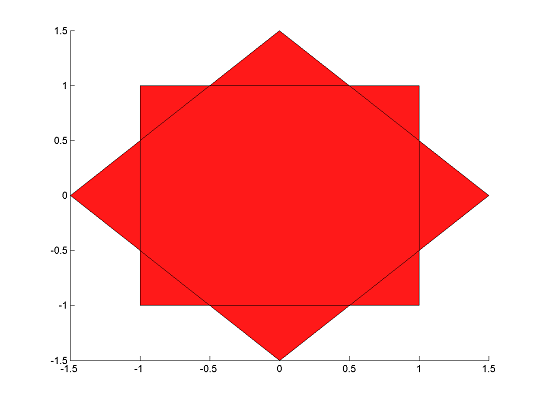 The command applies to (almost) arbitrary convex constraints. At the moment, the command does not support constraints that involve nonlinear expression (beyond quadratic or graph-represented).